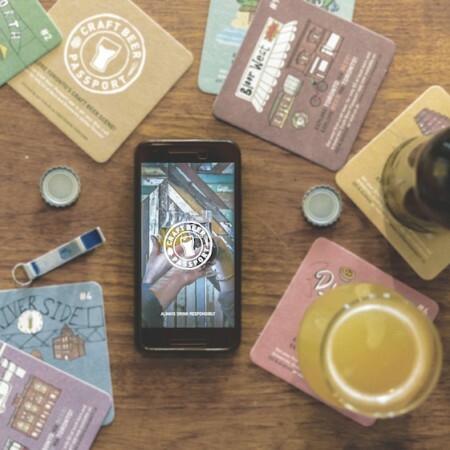 TORONTO, ON – After three years of offering an annual paper passport good for discounted samples at some of Toronto’s best craft beer destinations, the Craft Beer Passport has announced the launch of a new iOS and Android smartphone app. Once the free app is installed, users can buy credits that can be used to receive a discount at more than 35 bars and breweries in Toronto. Credits can be purchased in sets of 3 ($5), 10 ($10) or All ($30), and when one is used at a participating establishment, the holder will be entitled to a 12 ounce glass of beer for $2, and will receive a virtual “stamp” from the server showing that the credit has been used. The app also includes a map of all participating venues, as well as a full profile of each location including photos, operating hours, social media links, and more. For more details and links to download the app, see the Craft Beer Passport website.